However, it is jolly fun PRETENDING to jump into a book. 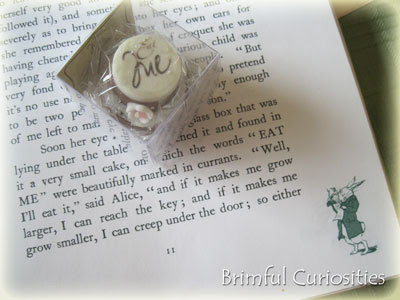 My daughter and one of her friends experienced their own Alice in Wonderland storybook adventure a while back with a little help from Storybook Tea Kit Company. 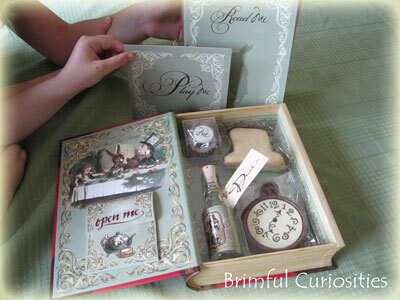 Alice's Pawfect Tea-Party kit comes with all the ingredients to host your own imaginative Alice in Wonderland inspired tea party. (Sadly no rabbit, but there is a pocket watch and more!) 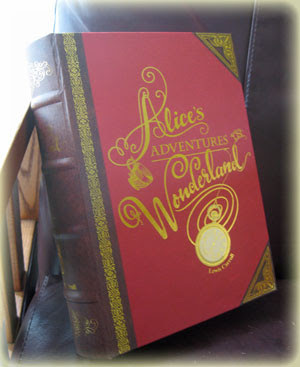 The classic story comes to life for kids as they read a section of the book and enter Lewis Carroll's dreamy Wonderland world, experiencing it one treat at a time. The girls lost no time opening the box and pouring over all the treasures. In fact, they could hardly contain their excitement. I managed to help them open all the treats and I boiled some hot water so we could steep the tea bag. Then we grabbed our own personal copy of Alice's Adventures in Wonderland (a must in every home) and read a few fun parts, including the "Eat Me" and "Drink Me" sections. The girls pretended to shrink and grow like Alice as they ate the little cake and drank from the bottle (the bottle comes empty so we added a little Apple Juice to make it seem more realistic). The shrinking and growing was their favorite part of the afternoon! Afterwards we moved on to the tea party. 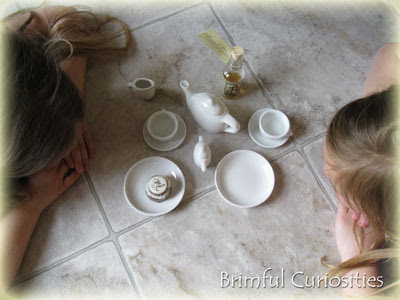 Luckily earlier this summer I found a small ceramic tea set at Goodwill and the girls used it for their tea party. They invited a few stuffed animals to attend and their little brothers also "crashed" the party. We divided the chocolate pocket watch and the cookies and distributed them to all attendees, including the little brothers. (No use in being rude like the Hatter.) The kids obviously aren't used to actual tea and didn't really care for the Apple Cinnamon tea flavor, but they ate every last crumb of the rest of the consumables. During the tea party we listened to the kit's CD. 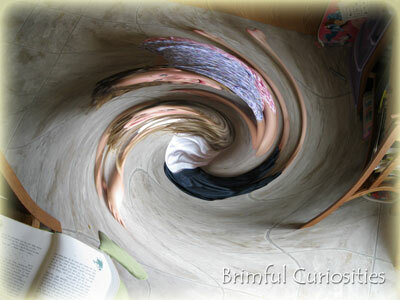 Later on we played with Photoshop and truly sent the girls swirling down the rabbit hole using the twirl effect! If you have your own Alice in Wonderland tea party, I'd recommend taking pictures from different perspectives while the kids enjoy the "Eat Me" and "Drink Me" treats. The girls thought it was hilariously funny that camera tricks could make them look really small and really, really big. The creators of the kit have seen to every last detail. The tiny "Eat Me" cake comes in a plastic container that looks like a "glass box" as specified in the original story. I was able to grab a few bites of the treats and they are scrumptious! I do wish there were more yummy treats in the single kit, but if you have a really large party planned you can buy a multi setting kit for extra goodies or purchase refills. I really, really adore the storybook keepsake container. It looks like an old fashioned leather book with fancy gold letters and it works wonderfully as a hidden compartment, hollow book perfect for hiding all your treasures once you've consumed the contents of the kit. The company takes great care in shipping the product, using plenty of cushioning wrap and it arrived quickly with the perishable contents fully intact. The kit provides creative kids with wonderful tools to explore a beloved classic and conduct their own tea party all in the course of one afternoon. 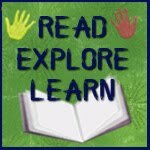 Find Storybook Tea Kit Company online at http://storybookteakit.com or http://storybook.predomedia.com, on Facebook and on Twitter. 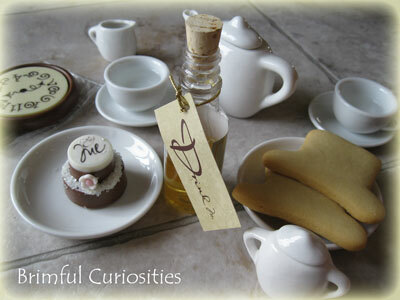 Storybook Tea Kit Company has kindly offered to giveaway an Alice's Pawfect Tea-Party kit to a Brimful Curiosities reader. • Contest ends on Monday, September 26th, 2011 at 11:59 PM CST. I've taken a lackadaisical approach with my FTTB posts lately. 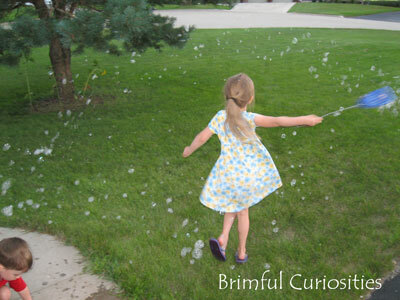 The lovely summer days have understandably sapped my desire to search for giveaways. Hope you haven't missed the posts too much and have enjoyed the summer days as well. Today I present a brief, but gem filled edition. 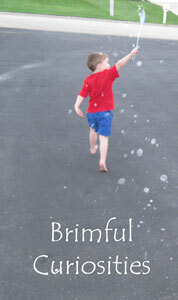 Liesl Shurtliff of Writer Ropes and Hopes is celebrating her new book deal for her middle-grade novel, Rump, with a week-long Knopf book giveaway contest. 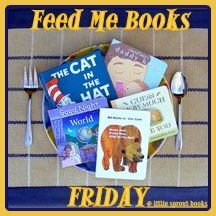 Make sure to enter to win some great books including The Emerald Atlas by John Stevens, The Penderwicks by Jeanne Birdsall, The Book Thief by Markus Zusak and Flipped by Wendelin Van Draanen. Enter by midnight 8/26. A few mice, on a perilous mission, risk their lives to rescue someone in need of help. Sound familiar? Probably, especially if you're a Disney movie fan. In the 1970's Disney produced a film called The Rescuers about two brave mice, Miss Bianca and Bernard, who rescue a little girl named Penny. What you may not realize is that this Disney film like so many of their productions is inspired by a children's book, or in this case, a series of books written by English author Margery Sharp. The New York Review Children's Collection recently brought the first book in the series back into print, with a beautifully designed edition of The Rescuers. Featuring pen-and-ink illustrations by the talented Garth Williams (illustrator of classics such as the Little House series and Charlotte's Web), this is a book to enjoy and cherish. 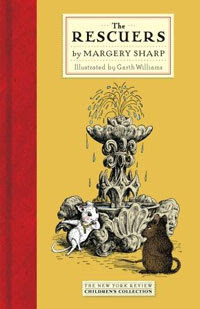 The star of Sharp's book is Miss Bianca, a beautiful, high-society mouse accustomed to a privileged life as the beloved pet of the Ambassador's son. She wears a silver chain around her neck and lives in a porcelain pagoda. The Prisoners' Aid Society, a group of mice on a mission to help their human friends, recruit Miss Bianca to help rescue a poet jailed in a grim prison called the Black Castle. A humble little pantry mouse named Bernard is chosen to convince Miss Bianca to abandon her luxurious life and join in the mission. Because the prisoner is Norwegian, Miss Bianca is called upon to locate the bravest Norwegian mouse during her upcoming travels to Norway with her owner. In Norway she finds a gallant mouse named Nils. The two mice voyage back to the Prisoner's Aid Society, only to be dispatched directly to the grim Black Castle, along with Bernard. The three mice face several dangerous situations, including an encounter with Mamelouk, the head jailer's terrible cat. Even though the mission seems unachievable at times, they use their varied talents to devise an elaborate rescue plan, and, along the way, gain self-confidence and discover the importance of friendship. Sometimes Sharp's sophisticated, elegant phrasing was a bit above my children's comprehension, but the book was, for the most part, an adventurous read aloud. Due to formal nature of the book, it would probably work best as a read aloud for kids around eight and above and as a middle grade and above read-alone. Williams' fine illustrations appear frequently throughout the novel and help keep younger children interested in the story. Times were different when the book was originally published in 1959, and as such, Miss Bianca is portrayed as a fragile female in need of protection, prone to fainting spells, especially in the beginning. While she does offer much assistance in achieving the rescue goal, she succeeds mainly due to her charming manner. 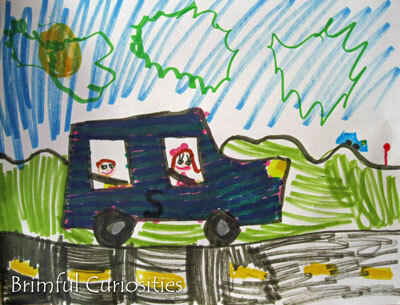 She doesn't even know what compass points are when asked to draw a map (though she does write very insightful poetry). Disney does treat Miss Bianca a little differently, making her more of an adept adventurer and less of a lady in need. The plot of the Disney movie is almost entirely different than the story found in Sharp's The Rescuers, though the movie does retain some of the characters. I prefer Sharp's more refined, intellectual story line to Disney's humorous, Bayou version. I haven't read Sharp's next Rescuer book, titled Miss Bianca. 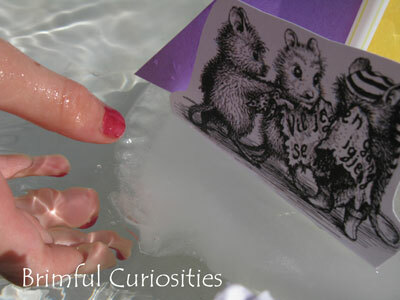 Apparently the mice do rescue a little girl in that story, like in the Disney's The Rescuers. I must also remark on the excellent physical quality of this book. 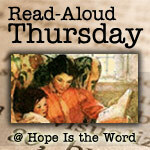 I first heard about The New York Review Children's Collection books on Read Aloud Dad. Everything he says is true. The books are worthy of a collector's library and the cloth bindings feel wonderful in your hand. The publisher offers an impressive array of formerly out-of-print classic titles. Make sure to take a look at the children's collection, if you haven't already. Miss Bianca spends much time traveling via waterways in The Rescuers -- by cargo boat, model speedboat and raft. 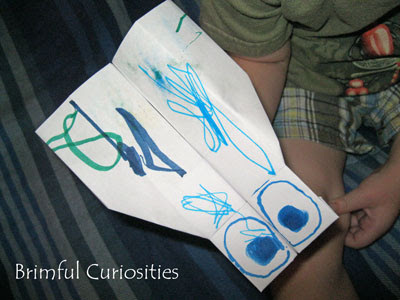 I thought we'd make some boats as a story connection activity. My kids would love to own their own model speedboat like the one in the book, but we opted for something much cheaper. 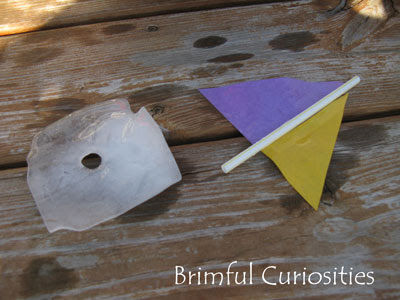 This summer they have been obsessed with making and playing with ice, so I thought we'd try our hand at creating ice boats. Obviously, an ice boat wouldn't be a good watercraft choice for Miss Bianca as it melts fairly rapidly. 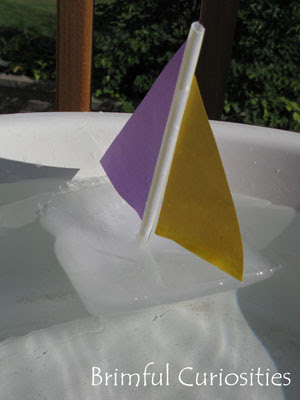 But, as a kid's summer activity choice, ice boats make perfect sense. We froze larger ice blocks in plastic sandwich containers. 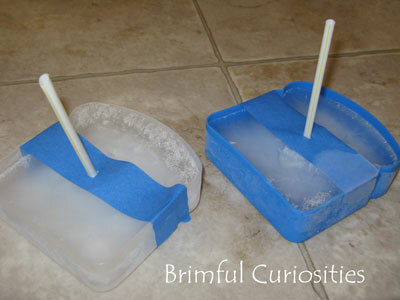 For the mast, we placed a piece of tape across the container and used it to balance a plastic straw inside the water. Once the boat froze we made sails out of paper and taped them to the mast. Miss Bianca, Nils and Bernard seem right at home on their ice raft. Smoothly glided a beautiful raft. Look in blessing on cargo and craft! Carry them safely, swiftly home! 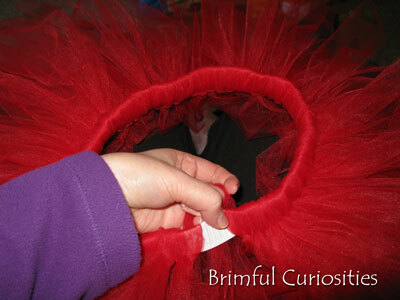 If you notice a little girl at your doorstep wearing an adorable red tutu with rainboots costume next Halloween, hopefully you'll be able to correctly identify her dressed up as a new (on the way to becoming a classic) children's book character. Please don't call her a "cute little ladybug" or, even worse, "a red fairy." No, she's Ladybug Girl, everyday superhero, brave explorer and a thoughtful friend to others. A creation of husband and wife duo David Soman and Jacky Davis, Ladybug Girl is the star of the New York Times bestselling series of children's books about an ordinary but imaginative little girl named Lulu who enjoys dressing up in a red tutu, rainboots, ladybug wings and antenna. Lulu, accompanied by her trusty canine companion, Bingo, goes on everyday adventures and figures out her own solutions to various childhood situations. 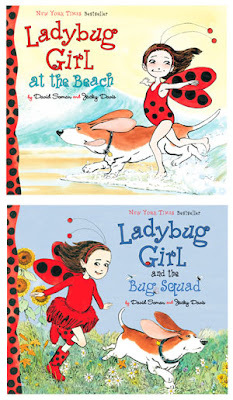 The two newest Ladybug Girl book in the series are Ladybug Girl at the Beach and, published just this year, Ladybug Girl and the Bug Squad. They follow the first two picture books, Ladybug Girl and Ladybug Girl and Bumblebee Boy. Lulu, the brave Ladybug Girl, has never visited the beach before but she is ready for her newest adventure. She and her family spend a day soaking in the rays and experiencing all the wonders of the seaside. 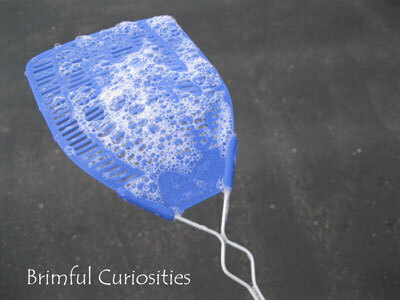 She builds sand castles, flies a kite, eats a double scoop ice cream cone, takes a walk on the beach with Bingo her dog, and searches for a few sea shells. She's not so sure though if she's ready for a dip in the big, blue ocean. 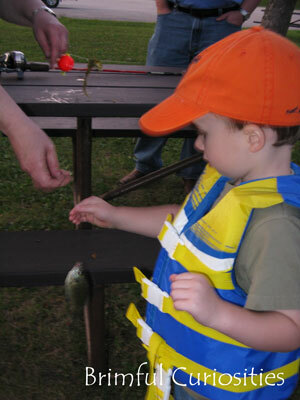 It's normal for kids to exhibit fear when encountering the unknown. With Ladybug Girl as their role model, they can learn to conquer the waves, too. David Soman's pen-and-ink watercolor illustrations in the Ladybug books are all fabulous, but his sweeping beach views really impress. One page spread shows Lulu and Bingo standing with hesitation on the beach as a large wave crashes on the sand in front of their feet. The text seems secondary, the waves tell the story. The emotion filled sunset views toward the end provide a spectacular conclusion. The images in the book make me long for a leisurely day at the beach with my kids, watching them play in the sand and splashing in the water. One of my favorite Ladybug Girl stories! 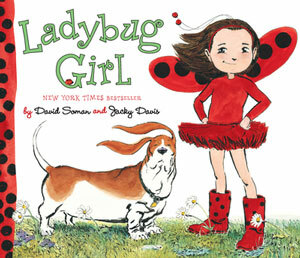 Ladybug Girl's friends make a repeat appearance in the newest book in the series by Jacky Davis and David Soman. Lulu excitedly waits for her "Bug Squad" pals to arrive for their first official playdate. 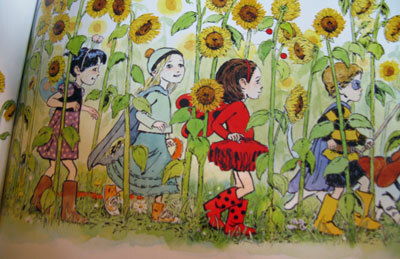 After all the members of the group arrive, Sam (Bumblebee Boy), Marley (Dragonfly Girl) and Kiki (Butterfly Girl) follow Ladybug Girl as she leads the way to their Bug Squad base hideout located in a small pine forest nearby. They play make-believe games and end the day with rock painting and a cupcake snack. Lulu tries to be a kind hostess, but at one point ends up hurting one of her friend's feelings with an unthoughtful action. The two eventually work out their conflict and Lulu apologies. I really love that this series encourages outdoor pretend play and this book, in particular, shows lots of ways kids can use their minds when playing outside with friends. My daughter really got a kick out of the sunflower wall, the imaginary "army of giants" asleep and unaware. I would have liked the book even better if big brother would have somehow cleverly interacted with the younger kids. The authors missed an opportunity and could have briefly portrayed him for once as something other than an innocent, uninterested bystander. 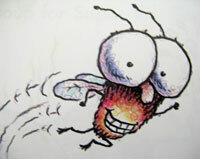 My kids hope more Ladybug Girl adventures are planned for future release. Just how big of Ladybug Girl fans are we? 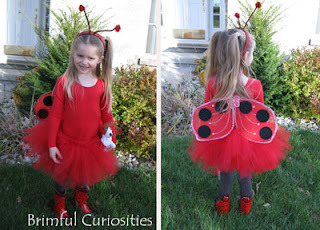 My daughter dressed up as Ladybug Girl for Halloween last year! She even held a stuffed Basset Hound that resembles the Bingo character. For instructions on how we assembled her costume, visit my previous post: Brimful Curiosities: How to Make a Ladybug Girl Costume. For more Ladybug Girl fun, make sure to visit the official website, http://www.ladybuggirl.com/. The website includes a couple cute games and several great Ladybug Girl printable pdfs. 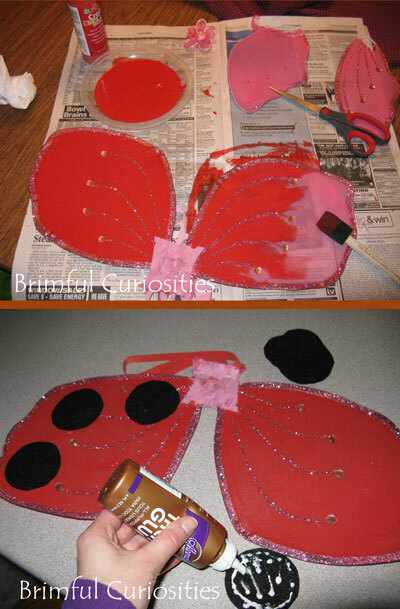 A Ladybug Girl Activity Kit with reproducible activities can be found on the Penguin Group website. 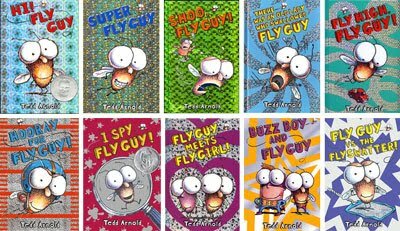 Penguin Books for Young Readers has kindly offered to giveaway a set of the two Ladybug Girl books I reviewed above to two (2) Brimful Curiosities readers. 2 Winners! • Contest ends on Monday, August 29th, 2011 at 11:59 PM CST. As a book lover, I find it very hard to resist children's book themed bedding and bath products. Several different retailers offer decor featuring beloved characters like Curious George, Winnie-the-Pooh, Mother Goose, Beatrix Potter's animals and Eric Carle's creations. Someday, if I can find the time, I'd love to try making my own quilt using fabric printed with designs inspired by children's books. But for now, if I'm going to give a book themed quilt, I'll have to find one to purchase. Ciletti Publishing Group recently released an uber cute and cuddly Story Time Café line of book themed bundles. Many of the available bundles feature the Maisy character from the popular children's book series by Lucy Cousins. The bright and cheery illustrations found in the Maisy books provide the perfect subject matter for lovely crib/toddler sized quilts and bath towels. In addition to the Maisy products, the company also offers a Frosty The Snowman Story Time Bundle and a beautiful Alphabet Animals Story Time Bundle inspired by the Caldecott honor book by Suse MacDonald. The Maisy books are intended for the toddler/preschool audience and this bundle gift set also appeals to this age group. I love that the set comes with a small, matching buddy quilt that kids can use to cover up their stuffed animals and dolls. 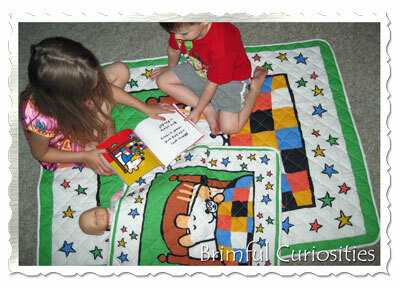 The machine-made quilts consist of 100% cotton shell and 100% polyester fill. This particular Maisy quilt set has a white cotton binding. 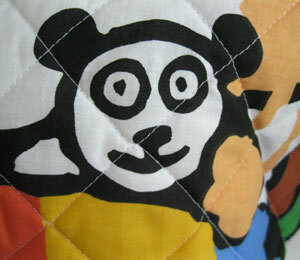 While I haven't tried washing the quilts they do look quite durable, and they are machine washable. On the packaging info I also noticed something worth mentioning -- the words "Made in the U.S.A." Unlike most textile products, the Story Time Café quilts are constructed in America. As unemployment continues to rise and we continue to lose manufacturing jobs in our country, I applaud and support all companies like Story Time Café that make an extra effort to keep jobs in America. 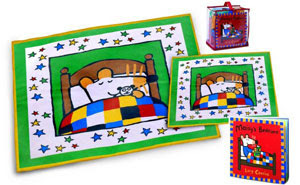 In September 2011 the company is adding a few new sets to their line: Maisy Backpack, Number Time Express Quilt with Seví Numbers Bundle, and an adorable Mother Goose Book and Quilt Bundle inspired by Scott Gustafson’s wonderful Mother Goose illustrations. When it comes to giving children's gifts for any occasion -- baby showers, birthdays, Christmas, even Easter - consider purchasing one of the Odyssey Books Story Time Café book-themed products. They are conveniently packaged into bundles and provide an instant and fun way to cuddle up and read a book together with your favorite little one! Let's take a ride in an electric car! Drawing inspired by the super catchy "Electric Car" song by They Might Be Giants. 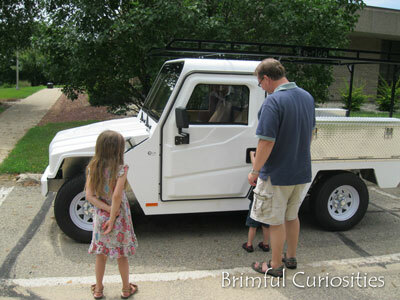 The kids got a chance to see an actual electric car with Daddy awhile back but didn't get a chance to take a ride.